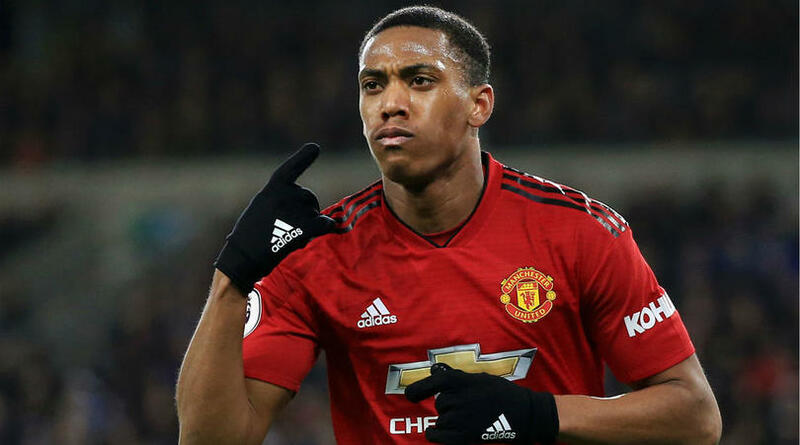 Anthony Martial can reach the level of Cristiano Ronaldo, according to Manchester United caretaker manager Ole Gunnar Solskjaer. Martial has dazzled since Solskjaer replaced Jose Mourinho in December, with the French forward scoring his 11th goal of the season in Saturday’s 3-0 win over Premier League strugglers Fulham. The 23-year-old’s stunning solo goal against Fulham saw former United captain Gary Neville compare it with Ronaldo’s individual effort 12 years earlier during his time at Old Trafford. And Solskjaer agreed as he challenged Martial to reach the heights of five-time Ballon d’Or winner Ronaldo. ‘It was towards the end of the game and we played a very poor game and Cristiano scored it,’ Solskjaer said. On Martial’s goal, Solskjaer added: ‘If you look at his goal and his starting position, he is not free of defensive duties. ‘He was in the middle of our half when we won the ball and he gets the ball 20 yards further up on our halfway line and he runs with it, so he does the defensive bit. Martial was reportedly looking to leave United before Mourinho was sacked, but the Red Devils star signed a new five-year deal at the end of January.